Title of View: Fort St. Angelo, on the Cotonea Side in the Island Of Malta. bottom along view from left to right : Bennet. del. Pub.31 October 1812 by Joyce Gold, at the Naval Chronicle Office No.103. Shoe Lane LONDON Baily, sc. 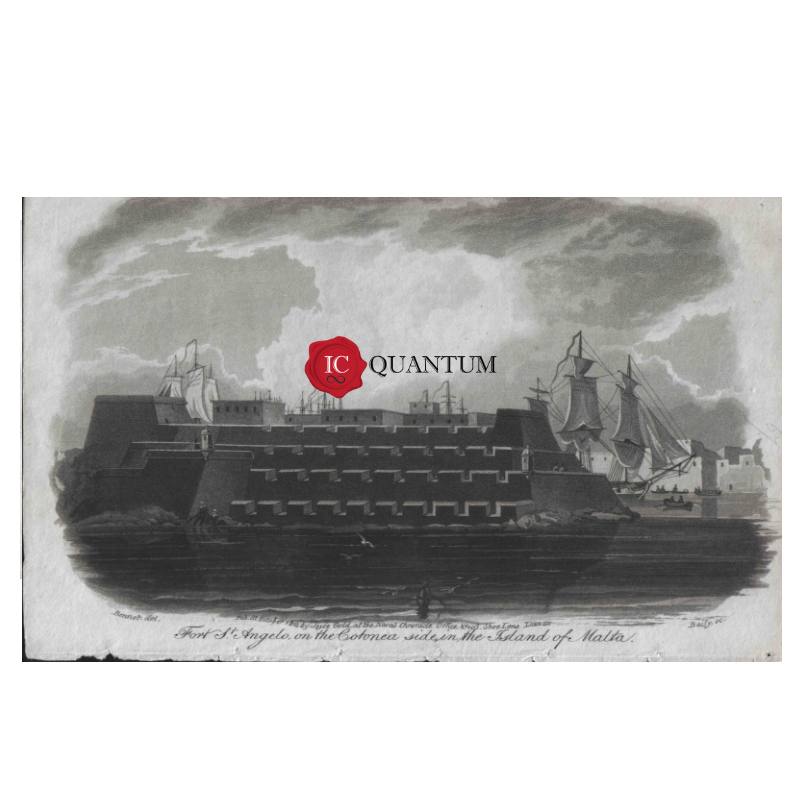 Notes: Naval chronicle vol 28 page 308 plate CCCLXXIV Description: Between 1799 and 1818, The Naval Chronicle, was the preeminent maritime journal reporting news about the British navy. Issued twice a year, it was published during a period in which the British navy fought the Napoleonic Wars and the War of 1812, and came to “rule the waves.” This wonderful journal included action reports, intelligence on various matters related to the British and other navies, and biographies of naval officers. Many of the reports were accounts by officers directly involved, such as Lord Horatio Nelson. Included with the articles were portraits, images of naval action, and views of the many ports in which the navy called. These are important, first-hand images of this turbulent period.